Enriched with colors, traditions, songs, dance, and celebrations, Navratri is one of the best times for us to relax, turn inwards and recharge ourselves with new divine energy. The nine forms of Mother Divine are honored on these nine days as everyone soaks in the bliss of the scintillating energy that engulfs the atmosphere. The night is a time for relaxation and rejuvenation of the mind and the body. If we don’t rest at night, it becomes difficult to carry on with our activities the next day, isn’t it? 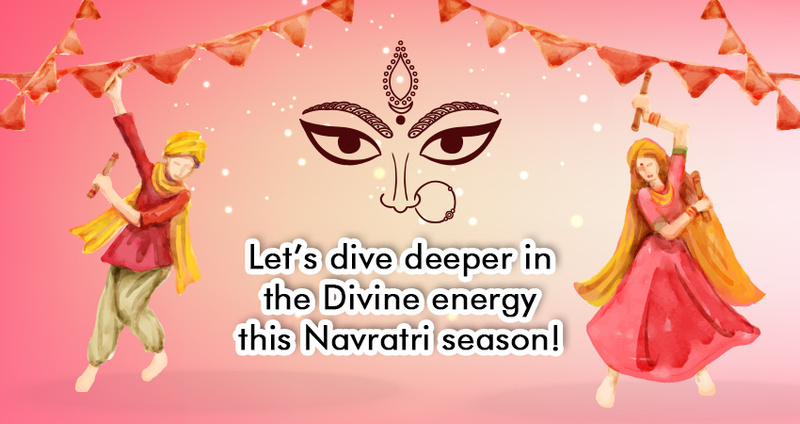 Likewise, Navratri is the perfect resting time for the inner spirit in you. It is that time of the year when you withdraw yourself from all sensory activities such as eating, talking, watching, touching, listening, smelling, and rest in yourself. This withdrawal from all sensory activities takes you deeper within yourself, and this inner depth is the actual source of bliss, joy, and enthusiasm in your life. This Navratri, starting from 10th October, take an opportunity to make a transition from the material world and enter the subtle spiritual world. Think of your origin, of who you are and where you have come. Go within, and rest in the remembrance of the love of the Divine Mother. To put it in simpler words, take some time off from your day to day activities and entanglements, and focus on yourself. Let Merataskk take care of your daily chores so that you are not engaged in one activity or the other. Navratri is the time to withdraw from the mind and rest in the spirit or soul. It’s the time to feel your soul! There are usually a lot of Puja items used during Navratri and Merataskk simplifies your work by delivering them at your doorstep. The same day delivery service is a boon to all those who are looking for alternative ways to get their work done. Be it shringaar items such as bangles, mata ki chunri, red lipstick, bindi, sindhur, nail polish, mirror mehendi, anklets etc. or puja offerings such as incense sticks, Kapoor, betel leaves, rice, roli, flowers, dry fruits, cow milk, ghee, jaggery, honey, coconut, mishri, bananas, and other fruits, you can book a task and get any of the items delivered. Avail Merataskk instant delivery service and get your items in no time! May the blessings of Goddess Durga shower on you! Happy Navratras.